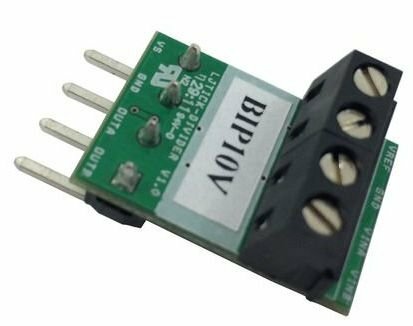 Signal-conditioning module designed to divide 2 single-ended channels of higher voltage analog signals down to 0-2.5 volt signals. 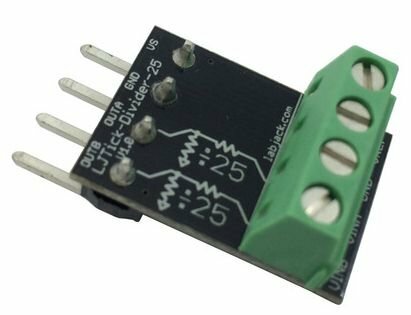 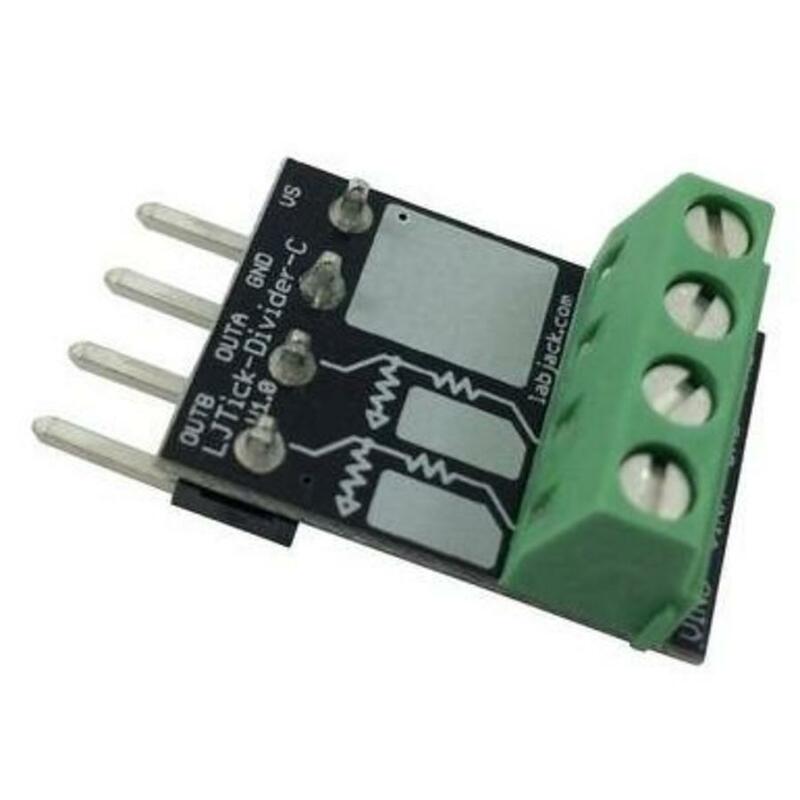 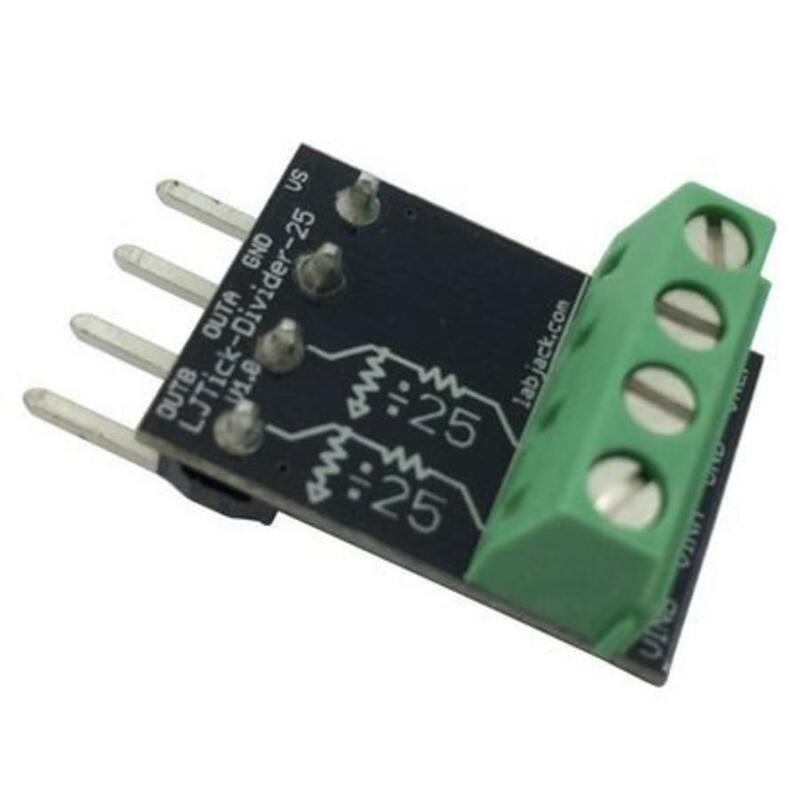 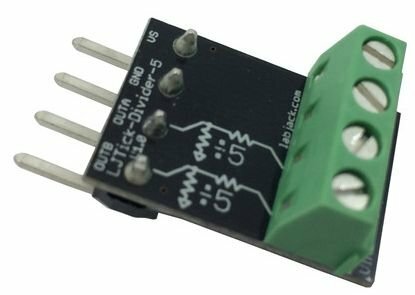 The LJTick-Divider (LJTD) is a signal-conditioning module designed to divide 2 single-ended channels of higher voltage analog signals down to 0-2.5 volt signals. 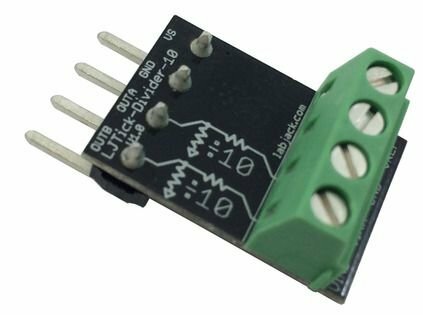 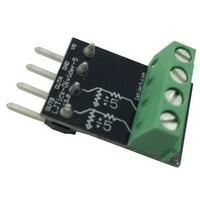 The stock builds are for 0-10 volt inputs (UNI10V) or ±10 volt inputs (BIP10V). The 4-pin design plugs into the standard AIN/AIN/GND/VS screw terminal block found on newer LabJacks such as the U3, U6, and UE9. The use of large resistors and a precision op-amp buffer provide an input impedance of 1 MΩ. 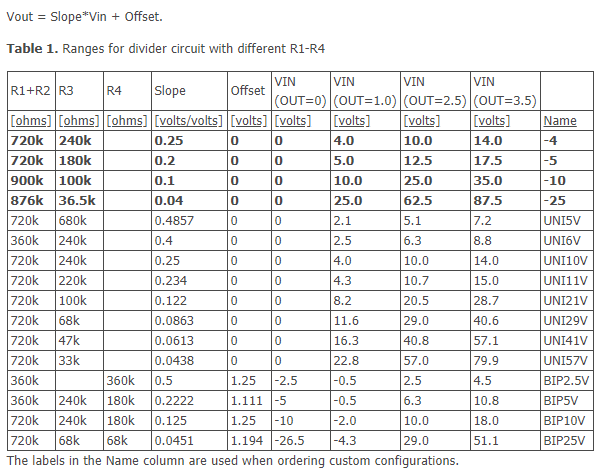 By adding or replacing resistors, many other configurations are possible. 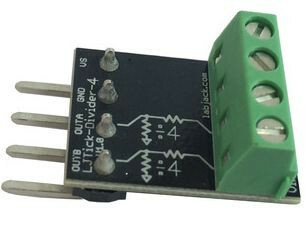 Prior to December 2007, all shipped LJTick-Dividers were the UNI10V configuration and were not specifically labeled. 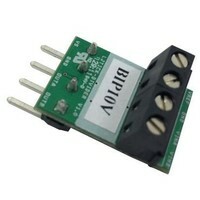 Starting December 2007, all shipped LJTick-Dividers have a label specifiying UNI10V, BIP10V, or other. VINA/VINB: These screw terminals are for the 2 single-ended channels of input analog voltages. With the factory default configurations (UNI10V or BIP10V), the input to either of these terminals is typically 0-10 or ±10 volts, and produces 0-2.5 volts on the respective OUT pin. 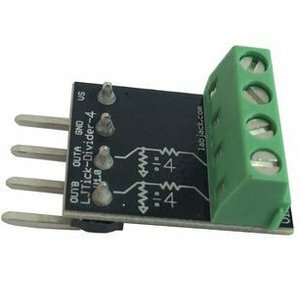 U6: The LJTD is used with the +/-10 or +/-1 volt range on the U6. 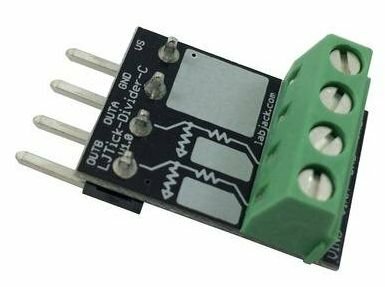 With the +/-10 volt range the full 0-3.5 volt output of the LJTD can be measured, but only 3.5/20 = 17.5% of the U6 input range is used. With the +/-1 volt range, the 0 and 1 volt output columns above apply, and 50% of the U6 input range is used.